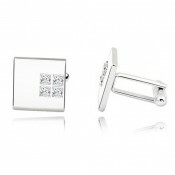 These stunning square solitaire earrings made with Cubic zirconia, measuring 6mm, in an elegant y.. This beautifully designed Starfish Pendant features stunning CZ Crystals with an adjustabl..
Our stunning single row ankle tennis bracelet made with Cubic zirconia Crystals is sure to dazzle..
Our stunning single row ankle tennis bracelet MADE WITH SWAROVSKI® ELEMENTS is sure to dazzle any.. 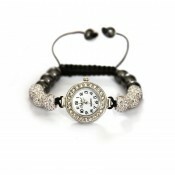 This elegant Stud Crystal Fashion Cuff is a great accessory for any occasion. Features a stud snap c.. This stunning Sunflower Crystal Pendant is the perfect neck piece what sparkles with elegance. This .. This Stunning Sunset Crystal Ring is a perfect jewellery piece for pure elegance. The ring.. These Beautiful Swan Stud Earrings MADE WITH CRYSTALS FROM SWAROVSKI® with 15stones and is.. This Beautiful Pendant & matching stud Earring Swirl Set Made with Crystals from Swarovski® is p..